Mourning the death of a loved one is a processÂ Â all of us will go through at one time or another.Â Â But wherever the death is sudden or anticipated,Â Â few of us are prepared for it or for the grief itÂ Â brings. 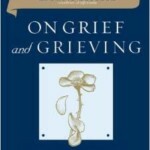 There is no right or wrong way to grieve;Â Â each person’s response to loss will be different.Â Â Now, in this compassionate, comprehensive guide,Â Â Therese A. Rando, Ph.D., bereavement specialist andÂ Â author ofÂ Loss And AnticipatoryÂ Â Grief, leads you gently through the painful butÂ Â necessary process of grieving and helps you findÂ Â the best way for yourself. Understand and resolve yourÂ Â grief. Talk to children aboutÂ Â death. TakeÂ Â care of yourself. Accept the helpÂ Â and support of others. Get throughÂ Â holidays and other difficult times of theÂ Â year. 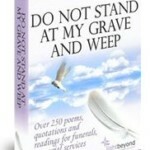 Plan funerals and personalÂ Â bereavement rituals. 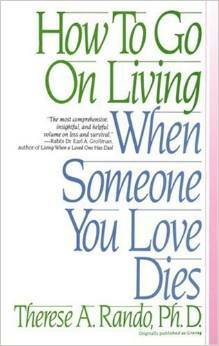 How To Go OnÂ Â Living With Someone You Love DiesÂ alsoÂ Â includes a comprehensive resource listing and aÂ Â chapter on finding professional help and supportÂ Â groups. There is no way around theÂ Â pain of loss, but there is a way through it. Dr.Â Â Rando offers the solace, comfort, and guidance toÂ Â help you accept your loss and move into your newÂ Â life without forgetting your treasuredÂ Â past.